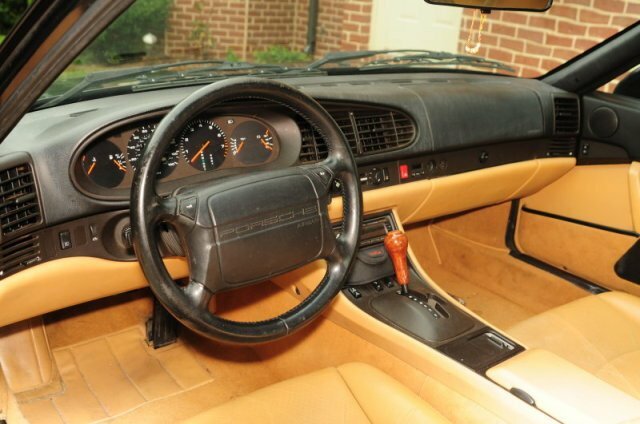 The North American 968s were offered with a few different types of optional equipment. The pricing of optional equipment depends on the model year it was produced in. It should also be noted that certain option codes have been reused by Porsche in later model years so be careful when viewing other optional equipment sources as they could be incorrect. The information found on this site is period correct for the 968. Refer to the Optional Equipment Reference chart below for codes, pricing, and a photo. You will note that I haven’t collected all of the optional equipment information so if you have something that I don’t have please contact the registry. Original window stickers are great sources of information so if you have yours, please forward a copy to the registry. The optional equipment is grouped into seven categories below. The options are listed in section 5 of the VIS (example above). Look closely at the codes as the font is sometimes difficult to read. C02 US Emissions (standard, Canadian cars will have C36 Canadian emissions). 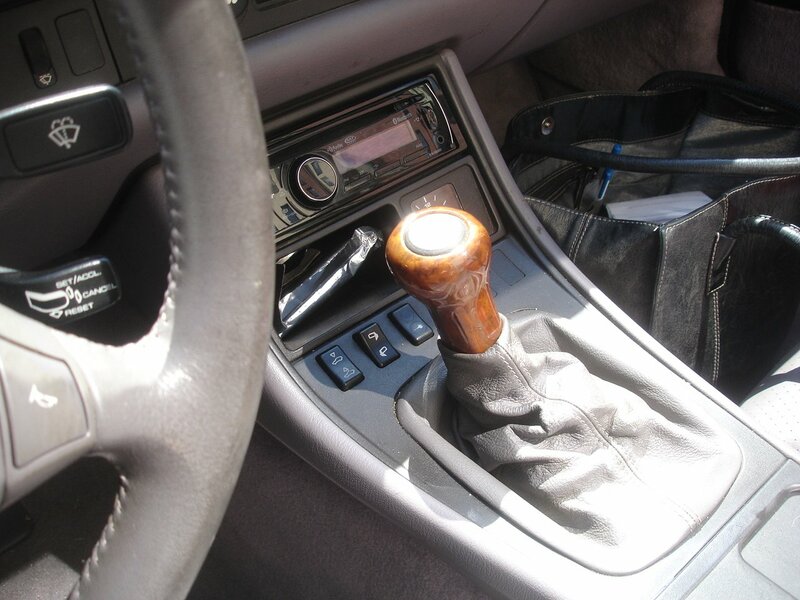 249 Tiptronic transmission – standard on tiptronic 968s. 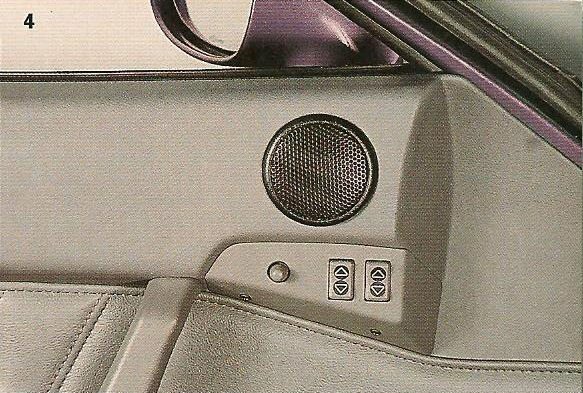 331 AM/FM cassette – standard on 968s but would be replaced with another radio upgrade code if applicable. 423 cassette container and coin box – standard, listed on 94.5 and 95 968s coupes, sometimes deleted. 425 Rear wiper – standard, sometimes listed on 95 968 coupes. 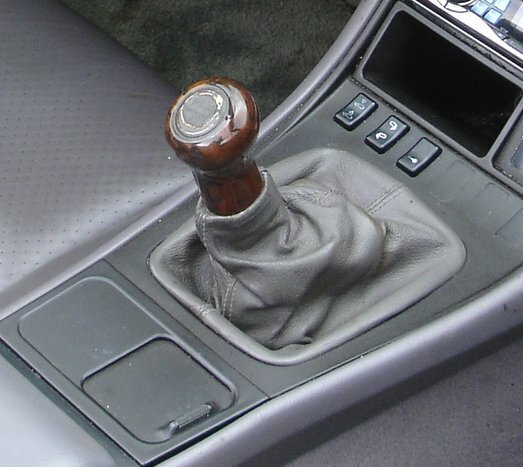 454 Cruise control – standard on NA 968s. 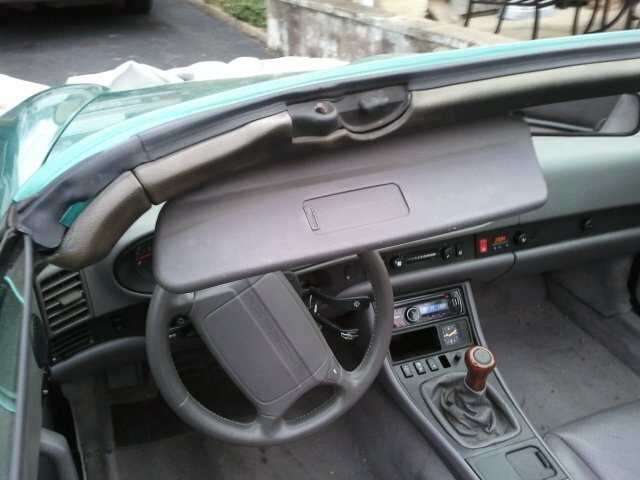 650 Sunroof – standard on NA 968 coupes. There are a couple of rare sunroof delete cars out there which would not have the code listed. 718 ReVIN to upcoming model year – see page elsewhere on this site for additional info on this code. 09991 Indicates factory installed exclusive program options (“X” code) are present (see additional info below). If your 968 was equipped with an “X” code option then it is included in the exclusive build program which can be identified by the 5-digit code “09991” on the VIS. Being included in the Exclusive program is not that exclusive though as having a car with the common painted crest center caps (Option code XD4) was under the program and of the 4,242 North American 968s, 1,931 were equipped with the center cap option (46%). The other X code options are quite rare and are primarily made up of wood and leather dress-up options. There were many exclusive options but only a limited number of NA 968s were factory equipped with them. Below you will find a chart listing the X code options that were actually utilized on NA 968s and the number of coupes and cabs that were factory equipped with them along with their cost. A few pictures of X code options are also included. I do not have any factory documentation on these codes. The best way to figure these codes out is if you have the window sticker with the options listed. If you have one of these codes listed for your car let me know and we can see if we can figure out exactly what it represents. These are options that were installed on the 968 at the port but before shipment to the dealer. They are reflected on the window sticker as line items with associated costs because the window stickers were actually generated and affixed to the cars at the port. 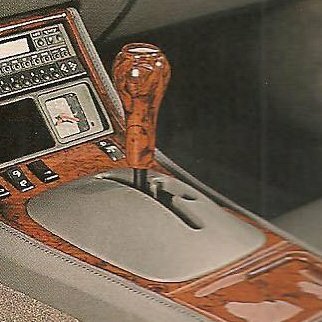 The most common port installed option is floor mats ($125) however, factory phones ($1,995) were also installed at the port in Charleston, SC. I have found one example where painted wheels were installed at the port and reflected on the window sticker but the XD9 painted wheel option code is not listed on the VIS indicating they weren’t factory installed. Port options were considered easier to be retrofitted to the car once here in the US. Once the 968 was delivered to the dealer, the dealer would sometimes go to amazing lengths to sell a car. The greatest 968 example has to be when a dealer repainted a new black coupe in Wimbledon green at the dealership in order to sell it. You know how much paint there is on a 968 so the task of handling a color change is not a simple one. Still, the dealer performed it and from what I’m told, did a great job. 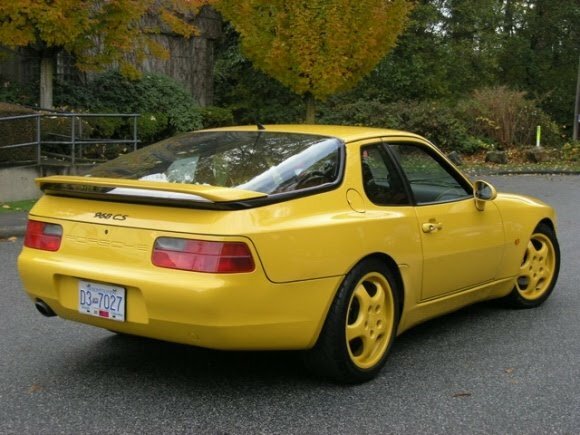 Other examples of dealer “shenanigans” included robbing options out of one 968 to sell another. I recall a 968 cab that was on the floor at my local dealer and had its 17” cup2 wheels removed and this was reflected on the supplemental window sticker on the car. 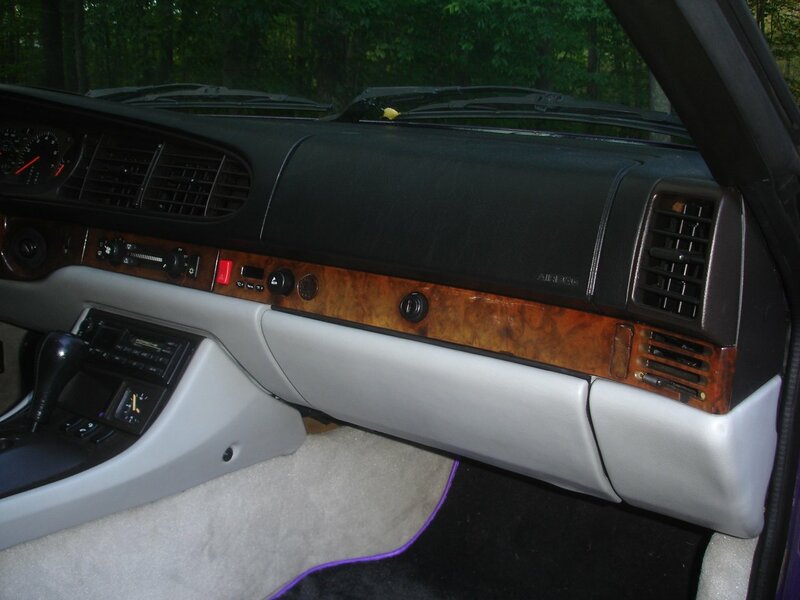 Another 968er had the sport seats robbed out of his coupe and the dealer used “white out” to remove the line items on the window sticker and then recalculate the final price. Many things went on at the dealership but unless you have the original paperwork, you would not know where a modification was made. That said, dealership changes are just that, and are considered “Day 2” modifications and not “factory” in any way. 337 – Removal of transportation equipment – Only 1 NA 968 has this option code and that is the cabriolet that currently sits in the Porsche museum. 740 – Showcar preparation – This code would usually be found on a 968 that was designated for a major auto show or press utilization. 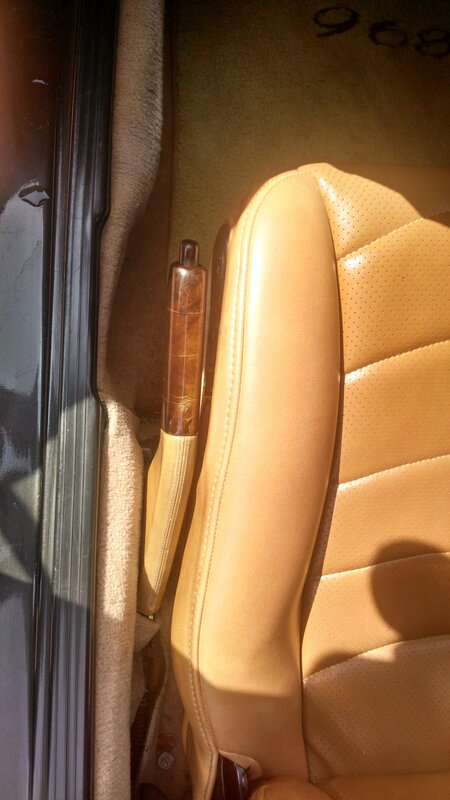 I am not sure of exactly what the special handling would be for a car with option code 740. 10 coupes and 10 cabs were optioned as 740 cars. These cars usually have some special options as well. 900 – Tourist delivery – Still offered today, this allowed the buyer to pick up their 968 at the factory and enjoy it in Europe for a while, then returning it to Porsche for shipping back to the states. I am not sure of the cost or if there was a cost. 19 Coupes had this option. I do not have the figure for cabs.